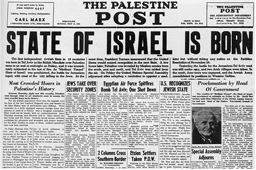 In 1948 Israel became a nation after 2500 years of exile. 70 years from 1948 is 2018. The Daniel 70 weeks prophecy is the basis for much of what we understand about End Time prophecy. It has been so accurate in its timeline and events, that it was originally questioned as being an original work. The Book of Daniel is divided into two sections on the basis of its content: the ‘court tales’ of chapters 1-6, and the ‘apocalyptic visions’ of chapters 7-12. The nature of the prophecies in Daniel 8, 9 and Daniel 11 are so incredibly precise and specific that even the hardened skeptic has to admit that it is clear evidence of supernatural inspiration. 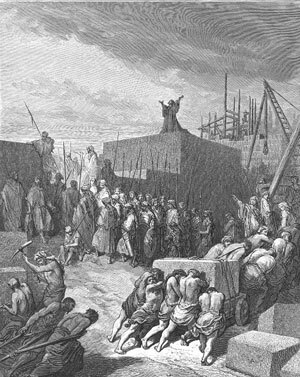 Daniel 9 foretold the coming of Jesus to the exact time of his entry to Jerusalem along with the destruction of the temple in 70 AD. It follows with naming of the people where the antichrist will come from later. Jeremiah 29: 10 For thus saith the Lord, That after seventy years be accomplished at Babylon I will visit you, and perform my good word toward you, in causing you to return to this place. 11 For I know the thoughts that I think toward you, saith the Lord, thoughts of peace, and not of evil, to give you an expected end. 12 Then shall ye call upon me, and ye shall go and pray unto me, and I will hearken unto you. 13 And ye shall seek me, and find me, when ye shall search for me with all your heart. 14 And I will be found of you, saith the Lord: and I will turn away your captivity, and I will gather you from all the nations, and from all the places whither I have driven you, saith the Lord; and I will bring you again into the place whence I caused you to be carried away captive. Let’s look at the calculation which is described above. The cryptic description from angel Gabriel tell us of 7 weeks of years and 62 weeks of year until the Messiah Prince along with his crucifixion. Both John 19:13-17 and Luke 23:44-54 reveal that Jesus died on a day before the Sabbath which started at 6:00 pm on Friday. That is, Jesus died on a Passover Eve and entered Jerusalem on the previous Palm Sunday. Mathew 24: 15“Therefore when you see the ABOMINATION OF DESOLATION which was spoken of through Daniel the prophet, standing in the holy place (let the reader understand), 16then those who are in Judea must flee to the mountains. The main reason the Daniel prophecy is so important, is it tells us where the antichrist comes from: The people of the prince who destroyed the temple were the Romans in 70 AD. When you see a peace treaty that confirms the Abraham covenant that Jerusalem and Israel were given to the Jewish people by God, the last 7 years countdown is triggered. The first half of the 7 years is antichrist building power (chicken in every pot) (re-distributes the wealth) and the last 3 ½ years is the Great Tribulation. THE VINE is a symbol of Israel’s Spiritual privileges. THE FIG-TREE is a symbol of Israel’s National privileges. THE OLIVE TREE is a symbol of Israel’s Religious privileges. As Jesus had dried up (withered) the fig tree (Israel) because of its unfruitfulness (Matt. 21:19) even so, due to the grace of God, we have seen it blossom again in these latter days since May 14th 1948. Mathew 21: 18Now in the morning, when He was returning to the city, He became hungry. 19Seeing a lone fig tree by the road, He came to it and found nothing on it except leaves only; and He said to it, “No longer shall there ever be any fruit from you.” And at once the fig tree withered. 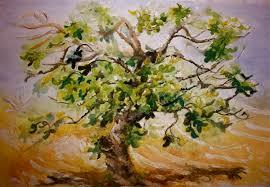 The fig tree (Israel) withered and died and stopped being in the land. In 70 AD the Romans destroyed the temple and Israel was no longer a sovereign nation. Israel’s leaves were withered when the Romans destroyed the temple and Jerusalem. Mathew 24: 32“Now learn the parable from the fig tree: when its branch has already become tender and puts forth its leaves, you know that summer is near; 33so, you too, when you see all these things, recognize that He is near, right at the door. 34“Truly I say to you, this generation will not pass away until all these things take place. 35“Heaven and earth will pass away, but My words will not pass away. 36“But of that day and hour no one knows, not even the angels of heaven, nor the Son, but the Father alone. However, you should not ignore the signs given that point to the season of the End Times. Ezekiels prophecy again is a cryptic math problem that points to the modern day restoration of Israel as a nation. Through increases in knowledge and hindsight, we can see that God provided exact details pointing to these key events. 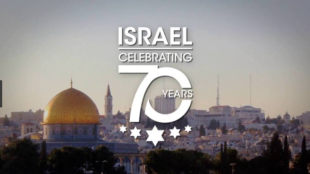 Thank you for the latest article concerning Daniels 70th Week and the state of Israel’s 70th year. I found this subject and the timing most interesting, recently being led by the Holy Spirit on this subject and with the same references you’ve given here. I would add Isaiah 29 to consider as well. I would strongly consider President Donald J. Trump as Daniel’s He Goat…I would also consider the 7yr. period only being 3.5 yrs with the 5 month harvest added to or apart of the above mentioned. Look forward to a confrontation with Iran when the next Supreme Leader takes over, which may be soon…’western intelligence’ says the current Supreme Leader has a stage 4 cancer…There is a lot more I would like to share but the truth of Daniels night vision and morning vision is devastating for three powers. To be ” plucked up by the roots” means death…The Lion (Israel) the Bear (U.S.A) the Leopard (U.K.) With these three powers subdued who can make war with the beast? If you have any thoughts on this subject, I would love to discuss. The Lion with Eagles wings mentioned in Daniel and the Lion without wings in Revelation has been a subject I have tried to resolve myself. How could the things of the end times happen if the US is the Worlds police force… Evidently, the US is in some condition not to be able to stop Iran from having the fly roll (missile) in Zachariah 5 or Russia from attacking Israel in Ezekiel 38 or the nations surrounding Israel in Psalms 83. The US is in a strange condition now where Christians are looked down upon by the rabid liberal groups that seem to dominate the media, Hollywood and the younger generation of college age kids. I think think Christians need to get a voice. I have attended several Passion Conferences in Atlanta and seen thousands of young adults on fire for Jesus. Many of these young adults will be around at the end. It’s very interesting to be watching all this from my perspective. Regarding remaining week of 7 = 70 Year’s. I compute 7×7 =49. It is based on 70 Shmita periods. We are in the 70th Shmita period also. The amazing explanation is given by you but you didn’t verify your explanations with Yahweh’s Formula whcih gives days, months, years, seasons, sabbatical years, Jubilee years and so on. I was just wondering about your statement of Israel not being a nation for 2500 years. They were a nation upon returning from Babylon up until they were dispersed in 70 a.d.. 2018-70=1948 or 1948 years of a dead fig tree. Maybe I have missed something. Thnx for your article. I have read the above post with great interest, however, I am afraid I cannot agree with some points. Israel was born on Shavuot in 1948 and after 70 weeks (70 shavuot) Yeshua will return. You write above “1 Week of years – (70) years remain…” Is that a typo? If 70 weeks of years is 490 years then wouldn’t 1 week be 7 years. The last 7 years started on May 14, 2018. This has been confirmed by the #1117LionOfJudah event on my Facebook Wall That happened on 4/2 of 2018 (also 17th of Nisan reaffirming the Sign of Jonah) exactly 42 days before May 14, 2018 signaling the first 42 months of the Tribulation. The #1117LionOfJudah happened in Sin City and it is His declaration that HIS REIGN HAS BEGUN Rev 11:17. Put your tray tables up and your seat back in it’s upright position. Things are going to get rough. Jerusalem is a clock trigger. When the fig tree puts on leaves and the dry bones come together, the clock starts back running. Big events for Israel occurred in 1917 and 1967, so many assume 2017 is the next year in a 50-year Jubilee cycle. They base the 50-year cycle on Leviticus 25:11. 70 jubilees is the same as seven cycles of 490 years, (the period mentioned in Dan. 9, which some think is a multi-layered count of years and Jubilees.